A scientist (Jean Del Val) comes up with a process to miniaturize matter, but as he escapes from the Soviet Union to the United States an assassination attempt leaves him in a coma. 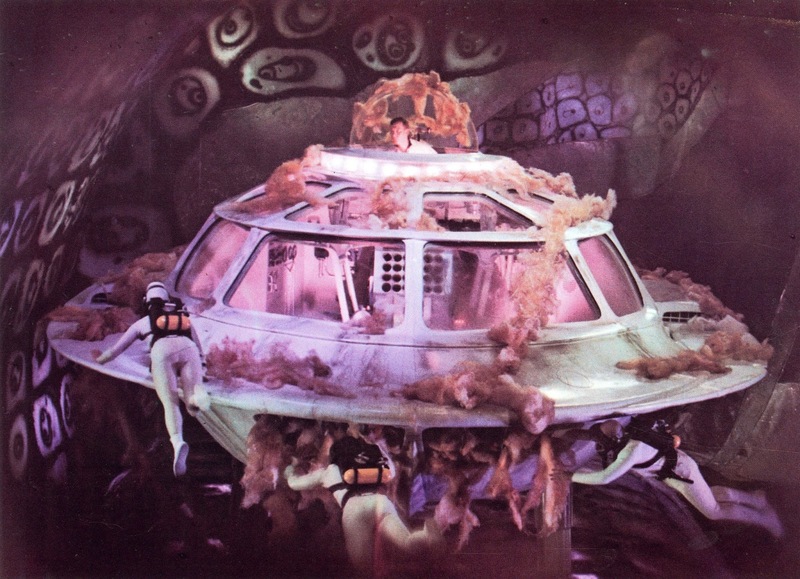 In order to save him, a group of doctors and federal agents are placed aboard a submarine and miniaturized, so they can be injected into the scientist’s bloodstream. Sounds trippy? You bet. And it’s one of my favorite sci-fi movies from the 60’s. 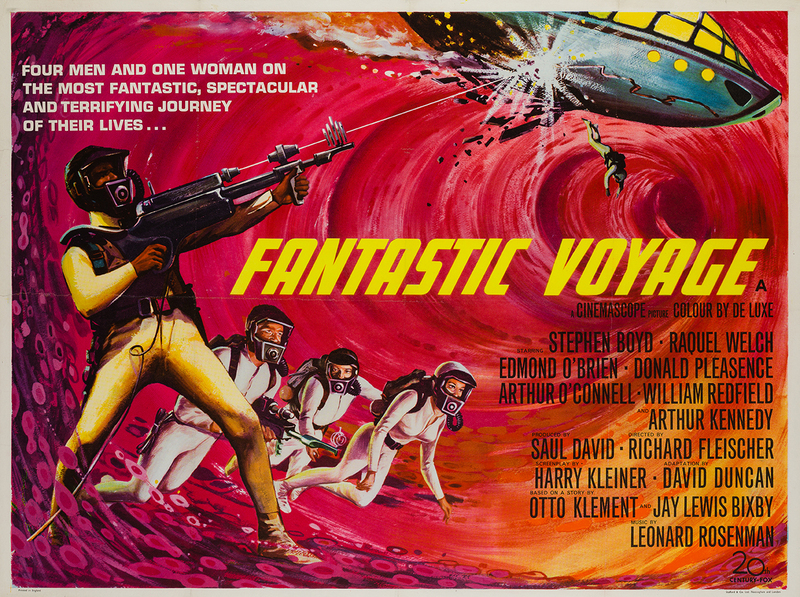 I first watched Fantastic Voyage in my early teens, and have seen it many times since. It still captivates me. The action may be a bit slow and the characterizations paper-thin, but the concept of traveling inside the human body and being witness to all its mysteries is pure storytelling delight. The psychedelic effects are top-notch, the atonal score by Leonard Rosenman is one of his best, and the race-against-the-clock plot thrilling. This is a voyage that never gets old.